I seriously LOVE Greek food. Give me a gyro over a burger any day! Or something like this will do, too. 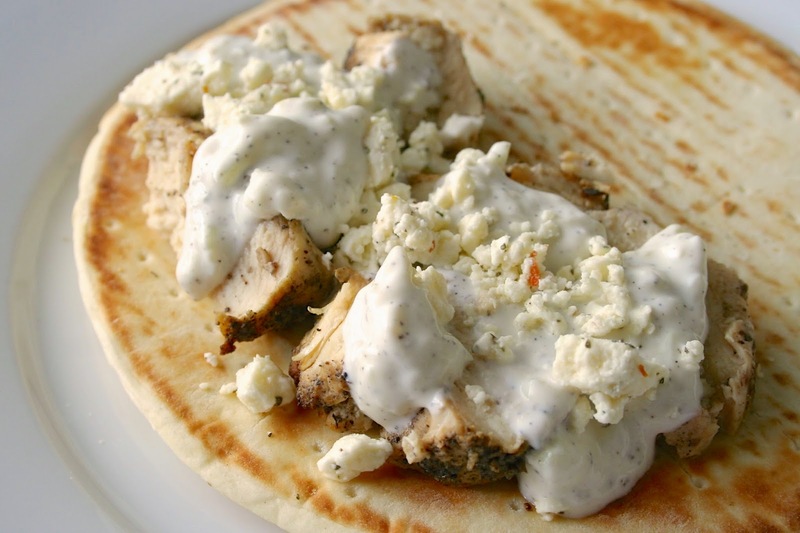 Anywho, this idea of GRILLED Greek chicken is amazing and the tzatziki is great as well. Like I've said previously, I'm a HUGE fan of feta and I cannot get enough. It's my favorite cheese. No contest. Be sure to try this recipe out! Especially if you live in the West and it's warm enough to grill. Such an odd winter! 1. Combine garlic, lemon zest, yogurt, oil, garlic powder, onion powder, oregano, pepper and dill in a medium bowl. Place chicken in bowl and coat with marinade. Refrigerate and marinate at least an hour. 2. To grill chicken, heat grill and cook about 8-10 minutes per side, until juices run clear and the chicken reaches an internal temperature of 165 degrees F. Remove from grill and allow to rest at least 5 minutes. 3. Grate seeded cucumber and combine with remaining ingredients in a bowl; mix well. Refrigerate until ready to use. 4. 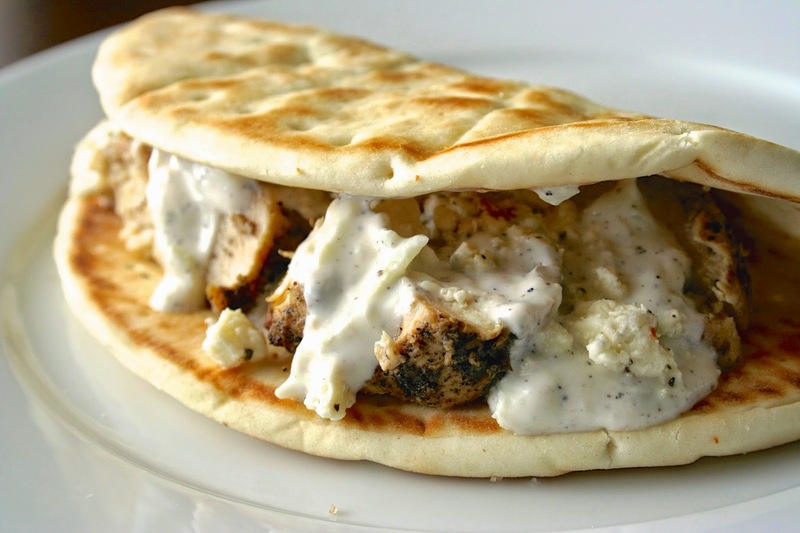 Slice chicken breasts into thin strips and serve in warmed pitas. Top with Tzatziki sauce and crumbled feta. Top with additional veggies if desired. Thanks! You'll have to try it, it's really easy!